our ^-mannosylation protocol, with the expectation that even higher ^-selectivity would be observed. 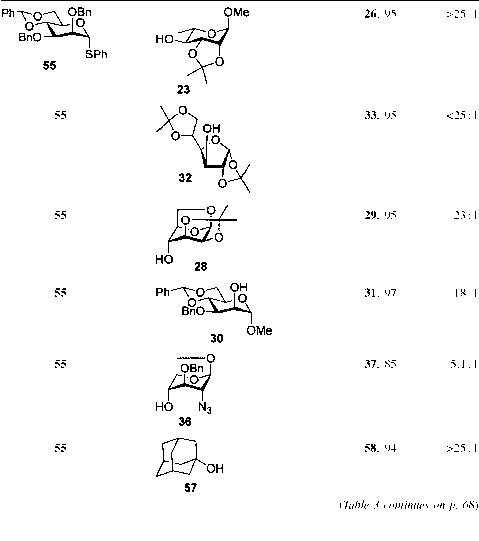 This proved to be the case with a range of primary, secondary, and tertiary thiols (Table 4) with no a-thiomannoside being detected in any case. The yields, although good, were nevertheless somewhat less than we had typically observed with alcohols . We attribute this phenomenon to the partial capture of the soft nucleophiles by one or other of the several sulfur-based electrophilic byproducts present in the reaction mixture.